Catapult can help natural grocers navigate through the chaos of constant change. Natural and organic grocers have unique needs that must be met in order to reach retail success and spur growth. Because ECRS’ Catapult is agile and adaptable, and because we maintain a value-focused, customer-centric approach, our platform solutions are ideal to handle the challenges natural grocery stores often face. Catapult’s fast, seamless transactions, inventory tools, back office management resources, marketing functions, will empower healthy food stores and help them ascend to new heights of operational efficiency. Catapult goes beyond omni-channel and it’s more than unified commerce. It is scalable and responsive thanks to Unified Transaction Logic™. This means all critical areas of operation in your enterprise are connected in real time. Your transaction touchpoints all work as one platform, on one platform. It is a comprehensive solution that enables efficient management of operations. All information from all of your stores synchronizes to your headquarters in real time (and vice versa). With Unified Transaction Logic, your discounts, dynamic promotions, rewards programs, and other transactional processes will work the same, across the board. With hot keys empower cashiers, unnecessary steps are eliminated; they can speed through transactions and member management operations all from the point of sale. Catapult features scale integration which is essential for natural food stores. This means that through Catapult and ECRS hardware solutions, you can fully integrate Catapult into your scanner-scales, deli, and prepared foods departments. Why are some organic markets thriving while others are facing uncertain futures? A major component is being able to make critical decisions based on real, actionable data. Our natural grocery POS software can run reports by product and department so you know what brands and what items are driving your sales – scalable from a few store locations to hundreds. Is one supplement brand outselling another? Where is inventory shrink occurring? Catapult has full-spectrum inventory capability to synergize supply chains. It can replace your current inventory management software and cut down on complexity. 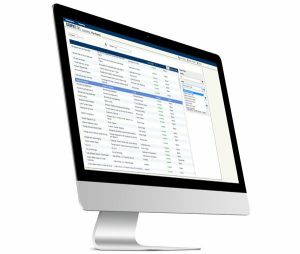 Connect your inventory controls to the rest of your store’s operations, seamlessly. 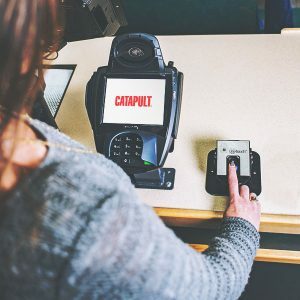 Catapult features a General Ledger plug-in that can quickly translate worksheet and transaction data from your store[s] into credits and debits for your double-entry bookkeeping system. 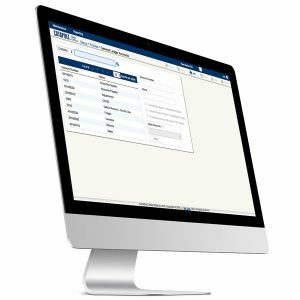 The General Ledger interface saves many hours of expensive, skilled accounting labor by harnessing your existing data to get the job done quickly and easily.